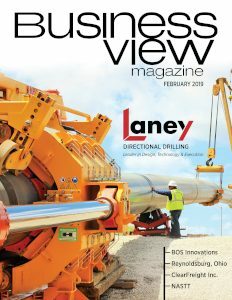 Business View Magazine interviews Kathy Goon, Executive Director of Ashland Area Economic Development, for our focus on Economic Growth in American Cities. 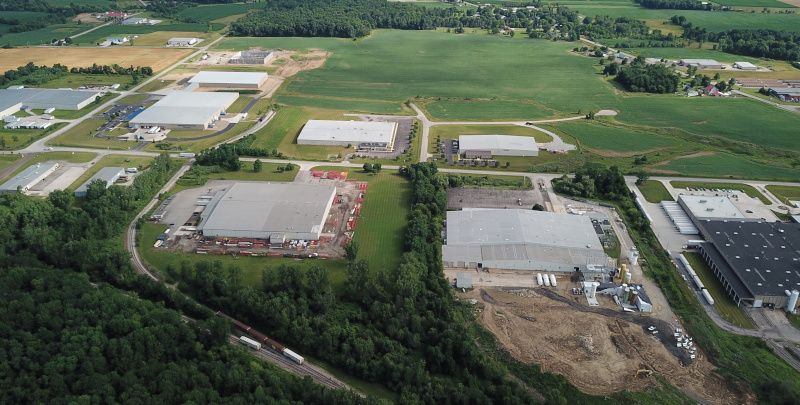 Welcome to Ashland County, Ohio, where everything a business needs to thrive is within easy reach – accessibility; great sites and buildings; and strong community support – all the tools vital to success. Ashland County was formed in 1846 from portions of Huron, Lorain, Richland, and Wayne Counties and is named for “Ashland,” the home of Kentucky Senator, Henry Clay. The City of Ashland is the county seat. Grow Ashland is the comprehensive economic development arm for Ashland County and the City of Ashland. Operating under a public-private partnership structure, Grow Ashland strives to strengthen the local economy in the primary areas of business retention, expansion, attraction, and entrepreneurship – in addition to working with the region’s economic base and networking with prospective investors. 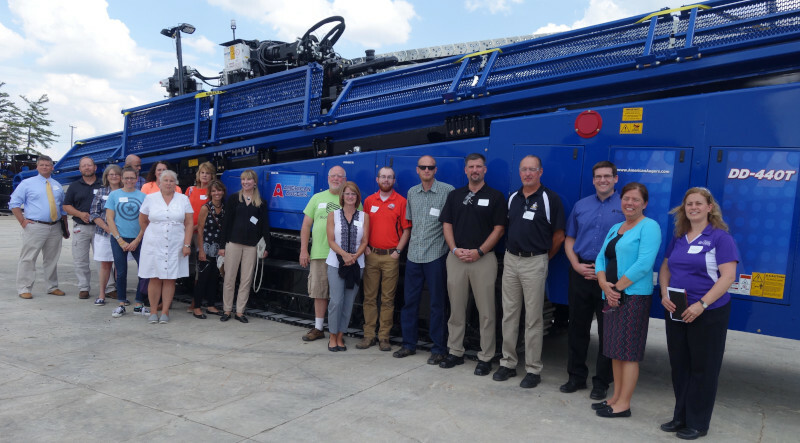 In addition to Mansfield Plumbing, Ashland County boasts many other economic gems including The Step2 Company LLC, which is the largest American manufacturer of preschool and toddler toys. Another company of note in a rural area is American Augers, a directional drilling company located in Jackson Township. Having several large corporations as well as many smaller manufacturers in less densely populated areas is a source of pride for the County proving you don’t have to operate in the City of Ashland to be successful. 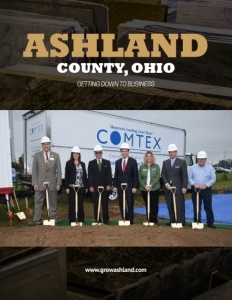 Grow Ashland and the County assist with expansions of existing manufacturers, as well as helping prospective employers. If a new company is interested in relocating to the area, the City of Ashland can sell available parcels at an attractive cost in the business park if a significant number of well-paying, new jobs are created. To help meet employment goals, Grow Ashland collaborates with the North Central Workforce Alliance, Transformation Network, and the Ashland County-West Holmes Career Center to offer leadership training, new employee training, youth education, workforce retention, and more. Ashland offers incentives in what is known as a Community Reinvestment Area (CRA), where an owner is eligible for 50 percent off taxes on an improved property for 10 years. There is also an Enterprise Zone for manufacturing and distribution businesses. It doesn’t abate property taxes already being paid, but it can be applied to additional improvements that have been done. In 2017, two major natural gas pipelines were constructed right through the County from east to west. The smaller (12 to 24 inch) line, north of the City of Ashland, carries gas used in the manufacturing of plastics. A 42-inch pipeline through the southern County, transports gas for heating homes and businesses. The construction project spurred millions of dollars of economic activity. With the influx of new workers, money was spent on hotels, services, goods, restaurants, and much more. Marketing is another facet of Grow Ashland that has been very effective. Goon hired Scott Williams, owner of Vinyl Marketing, to produce a promotional video that clearly defines economic development and the role of GAED. As Goon notes, “Scott is extremely talented and has surrounded himself with an amazing team. We saw a video they did for the Uniontown Brewing Company, a new local business that started here in 2017, and it was every bit as good as a Budweiser commercial. That’s why we signed them on to promote Ashland.” Williams is taking it one step further by investing in the downtown. He bought a building in the core and is working with Grow Ashland on a tax incentive to help with renovation costs. In other exciting news, a film company is relocating from Los Angeles to Ashland. Scott Donnelly, owner of Ashland’s Donnelly Ford, purchased and restored a historical downtown building for his movie company, Good Deed Entertainment. Donnelley is excited because, not only is his heritage building a wonderful location for his new office, it is also a perfect setting for film shoots. Check out this handpicked feature on Akron, Ohio – Cleaning up and moving on.